Anthony W. Chauncey - The Chauncey Law Firm, P.A. 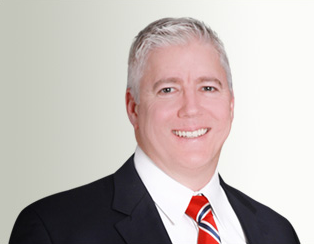 Anthony “Tony” Chauncey practices in the areas of Bankruptcy, Foreclosure Defense, Criminal Defense, Traffic Citations, Family Law, and Personal Injury. Mr. Chauncey has counseled clients in many areas of the law including representation of numerous individuals and business entities in transactional and litigation proceedings in Florida’s state, federal, and bankruptcy courts. Mr. Chauncey has helped hundreds of clients achieve a fresh start financially using the federal bankruptcy laws. He is experienced in Chapters 7, 11, 12 and 13 under the Federal Bankruptcy Code. His criminal practice includes the defense of clients accused of crimes such as DUI, traffic offenses, drug possession and trafficking charges, disorderly conduct, white collar offenses, domestic violence, shoplifting and theft crimes, assaults and batteries, burglary and robbery crimes, juvenile offenses, weapons charges, and violations of probation.